Hello Friends! I can apologize all day long, but obviously things just didn’t work out here. But that doesn’t mean we can’t still be friends! I’ve started a new project and I think you’ll like it even more than what we did here. 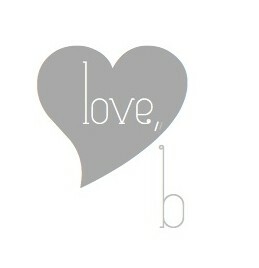 I know I am especially because of my fabulous new business partner- my mama! Yay! 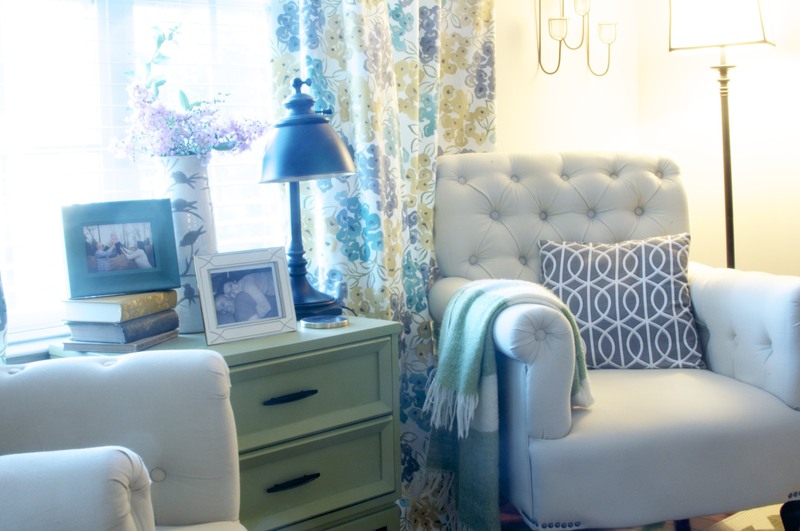 We opened up Whippoorwill Road Home, an online boutique for home decor, vintage finds and great ideas. I really hope that you’ll follow us over there and check it out. Please visit us at whippoorwillroad.com and follow along there (and maybe even find something you love!) Please like is on Facebook and follow us on Instagram while you’re at it! We would love to see you more! Thank you so much to all of you who still drop by here from time to time. This was so much fun, but we’re even more excited about the journey to come on Whippoorwill Road! 75% of those statements are false but I’m guilty of believing all of them. I have great ideas and the best intentions but I wait until I’m sure, confident and know it’s going to work out perfect. That is 100% stupid, 100% of the time. If you’re not familiar with The Nesting Place, you should be. 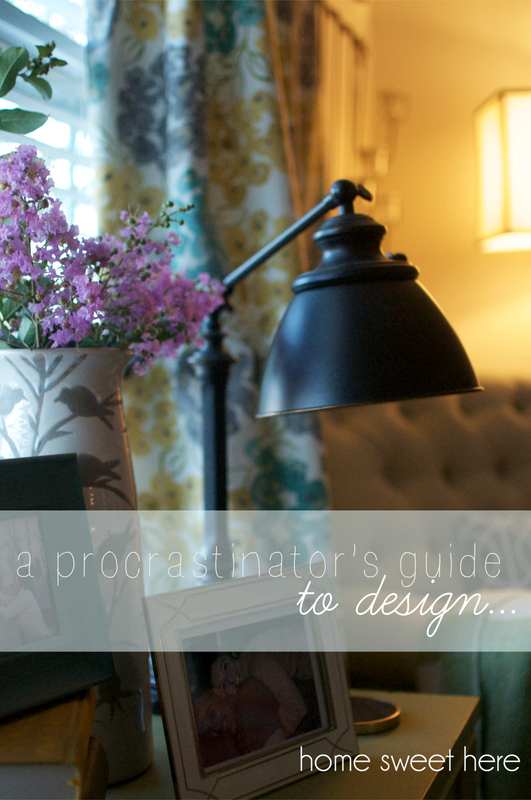 “The Nester” is my muse to overcome my procrastination paralysis. Not only is she brilliant but her designs are breathtaking. She is completely inspiring but a perfectionist she is not. She has built her entire blog empire and even written a book to teach us that “it doesn’t have to be perfect to be beautiful.” Can I get an amen? Read her blog. Read her book. You will start getting stuff done. I wanted new curtains. 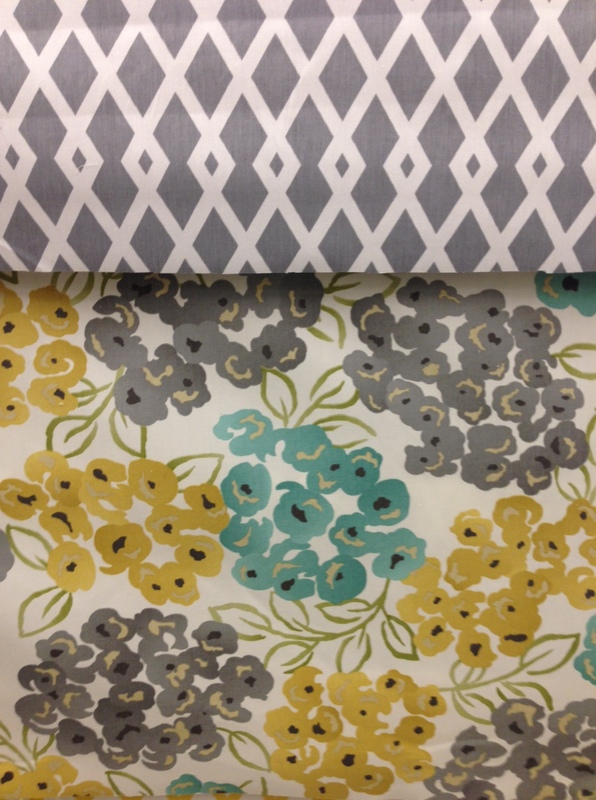 I found the fabric and procrastinated to buy it. Sometimes there are consequences to procrastination and this time my consequence was the store was out. Thankfully, it is 2014, so I ordered it online after taking days to get over the devastation. As soon as that box arrived do you know what I did? Did I overcomplicate things and start sketches of what the panels would look like? Did I spend hours researching the best lining for that type of the fabric and the morning light we get? And then more hours trying to find the best price? Did I measure 47 times to plan the best proportions and flow of the pattern? I opened the box, unrolled the fabric and folded it in half. I cut it down the middle. I didn’t even take the time to dig out my fancy fabric cutting scissors. I clipped it up on top of the old curtains and hid the edges as best as I could. And just like that, I had brand new curtains. I will hem them and line them and make them prettier someday, but for now, I have new curtains and I love them with all my heart. I did something and it felt great! And you know what? It is pretty! But, curtains- those are EASY. You don’t even have to sew them. 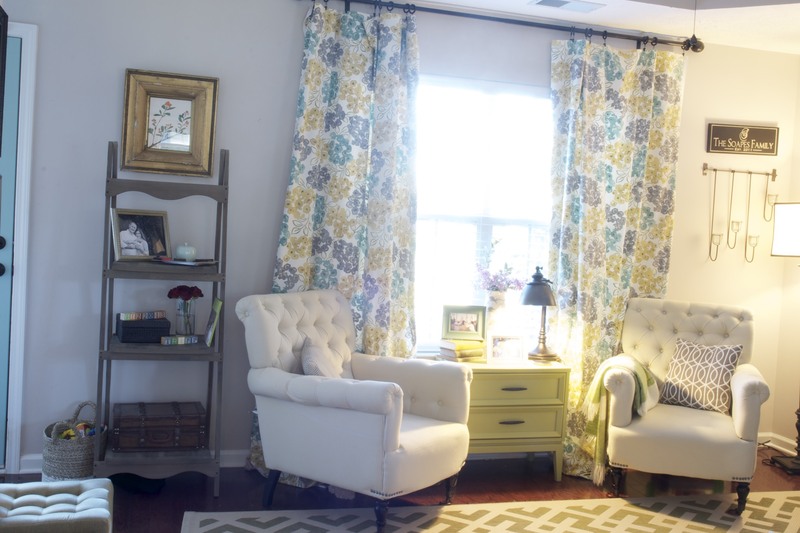 You can change your whole room with a few yards of fabric, a pair of scissors and some drapery clips. How do you want to change your home? Are you waiting to (gasp) put nail holes in the wall? Are you afraid of that new paint color? Are you just not sure if your furniture really works best there? Do you just not know what to do with that space? 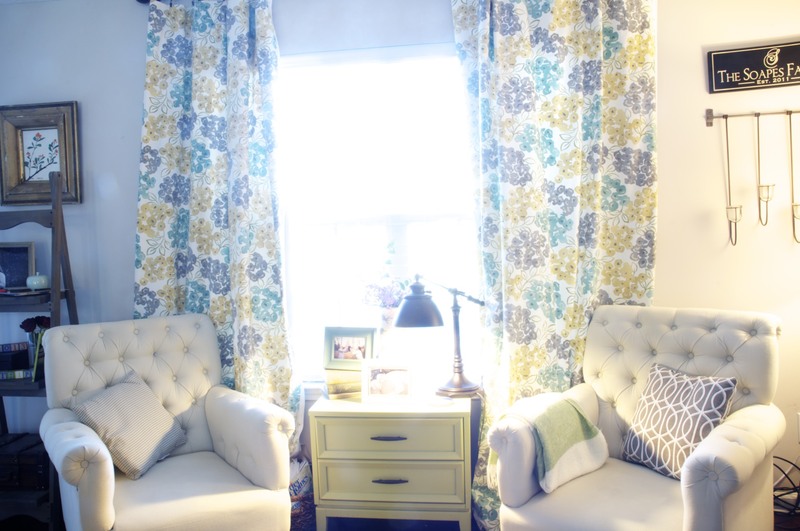 I’m the worst procrastination offender out there so if I can make some “faux curtains,” in about 2 minutes and be oh so happy with them, there are no limits to what you can accomplish. You won’t hear me say this very often but put down that to do list, stop making plans and do something. What are you going to accomplish today? Last friday marked four years since I signed on the 392 dotted lines and became a homeowner. It was a real life dream come true. I had waited and waited and I was finally there. And I’m still here. I got engaged in this house. I started my marriage here. I found out about Tripp here and this is where we brought him home. This is not my “dream home,” but somehow, it is where my dreams have come true and that is really something special. I had a list of pros and cons a mile long and wide but when it came down to it, this place was exactly where I was supposed to be then and it still is now. But I have house envy big time. One of my biggest hobbies is looking at floor plans and visiting new construction houses. (It isn’t technically breaking and entering if the door is unlocked, right?) I want a new house like yesterday. Bigger, fancier, custom-er (totally a word) and with more room to grow. But I have to remember that four short years ago this was my dream. As I was going through the negotiating/inspecting/closing process I could see the finish line. That line looked a lot like me getting up the first morning in this place, walking to the kitchen and pouring a nice cup of coffee. I would take a sip as I looked out the back door to a big green backyard. My coffee. My backyard. My home. It still has a sweet sound to it, doesn’t it? I still dream of my future house and it will be incredible, you can count on that, but I want to take time to appreciate this one. I might love to look at the shiny new houses, but this is home. And you know what? Before that, my teeny, tiny, little house was home. I didn’t own it (I may have not even paid rent for it- thanks mama and daddy!) but it was my home for six years because that is what I made it. When I started Home Sweet Here two and a half years ago, that was what I wanted to share and promote. I still truly believe you can make where you are your home sweet home but I need that reminder so I’m guessing you might, too. Home is a dream come true. It doesn’t have to be your forever dream home- it’s wherever you make your dreams happen. We can see dreams come true each and every day: laughter with your family and friends, the best meal you’ve ever cooked, a chocolate chip cookie fresh from the oven, first steps and smiles or a cucumber straight from your garden. Your dreams are up to you but I encourage you to dream big and dream small and make sure you celebrate each and every one. Treasure them. 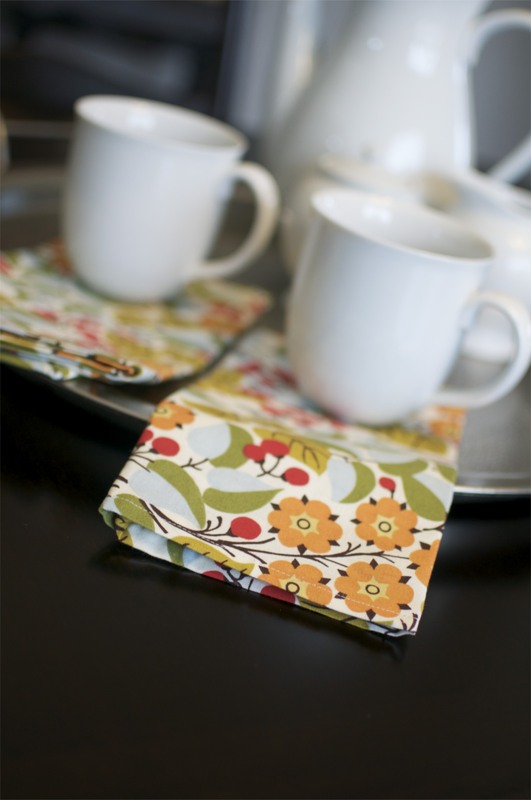 Use them to make where you are truly home- be it a mansion, apartment, shack or house. Will you do that with me? Will you embrace where you are and celebrate your dreams? Will you make your house your home sweet home? To truly be home and love it sometimes takes some effort. Accept where you are, celebrate how awesome it is and watch your dreams come true. Treasure it and you’ve found home. We all have to eat. How you get your food on the table can vary, but food is not optional. I come from a long line of dinner makers. My mama worked full time but managed to put an amazing meal on the table each and every night. I’m not even sure what it means to not have dinner at home most nights. This has just always been a way of life for me. Robb and I continued that tradition and now that we have Tripp it is even more important. While my mama could (and still does) throw something together at the last minute and it will be the best thing you’ve ever eaten (at least since the night before when that was the best thing you’ve ever eaten). Brandy don’t play that. I can get away with that here and there, but I need a plan. We’re doing Baby Led Weaning with Tripp and it’s even more crucial that I plan ahead and plan well. I don’t have time to pop in the grocery store every afternoon on my way home. I don’t have time to stand at the pantry and try to figure out “what’s for dinner.” If I don’t plan, it is chaos. My whole night is out of whack and that spills over into the next day and you get the picture. 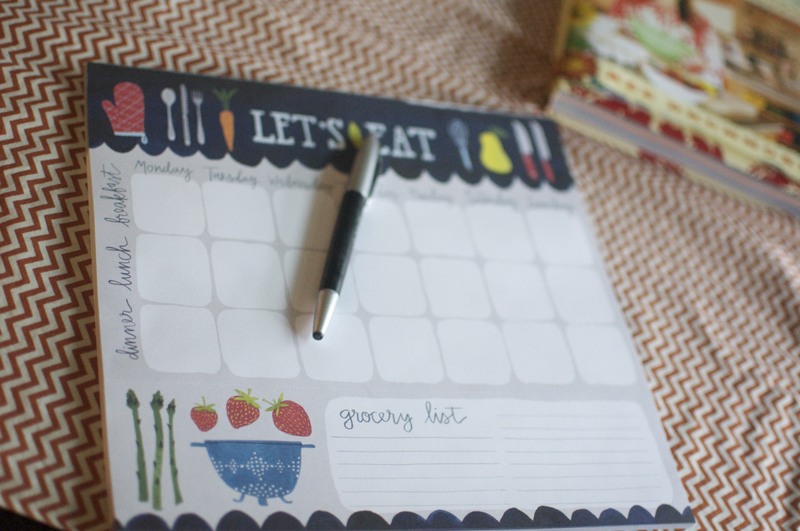 The preparation doesn’t stop with that meal plan, then I have to make a detailed grocery list and get it done as quickly (and painlessly) as possible. I’m still working on perfecting my meal planning system, but my grocery list is solid. It was a journey to get here, but I found that my planning and shopping went better if I divided my list into the categories I shop in my grocery store: Deli/Bakery, Produce, Meats, Middle, Dairy/Frozen. It goes in the natural order that I shop and saves me lots of running back and forth, back and forth. In the beginning, I made a list and then re-listed to plan with my store. 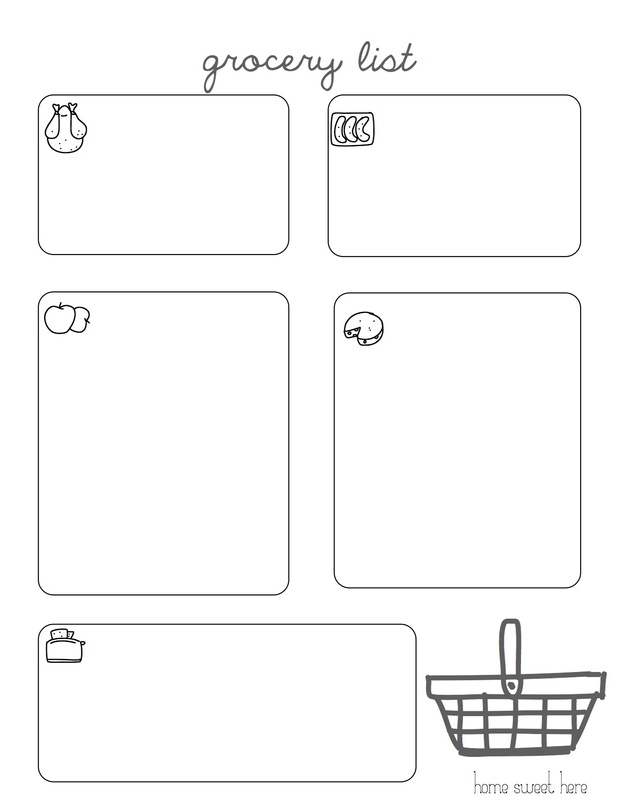 This might be the definition of insanity but then I made it even easier with a printable. I use this like it is my job, so I wanted to share it with you. When I’m meal planning and looking at my ingredients, I can simply fill them in the appropriate box and just like that, my grocery list is done! It may sound simple, and it is, but it really does have a huge impact on how I plan and shop. I can breeze through the store, mark off my list and get back home to my favorite little man as quickly and painlessly as possible. I love it when a plan works! 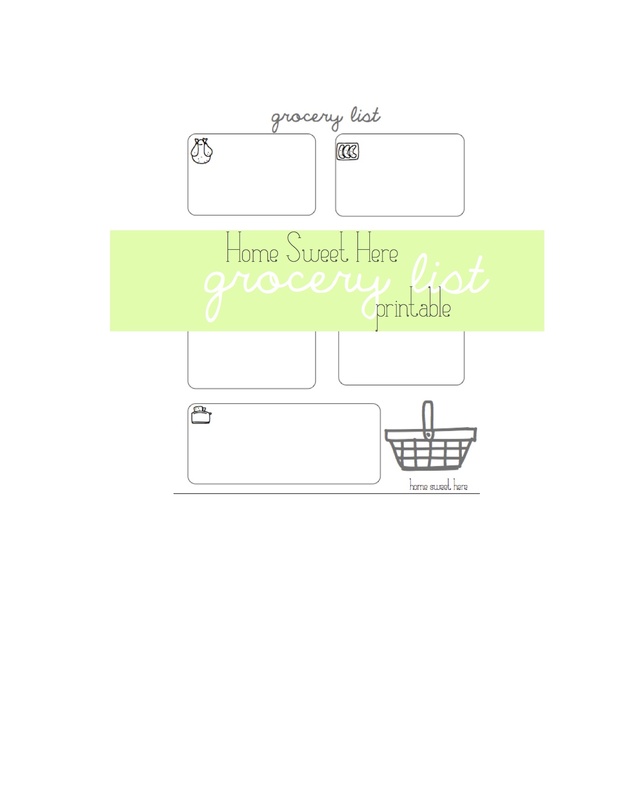 Feel free to download the handy dandy printable right here and give it a try next time you meal plan and shop. What works for you? What are your meal planning, grocery shopping, survival tactics? Let’s discuss! 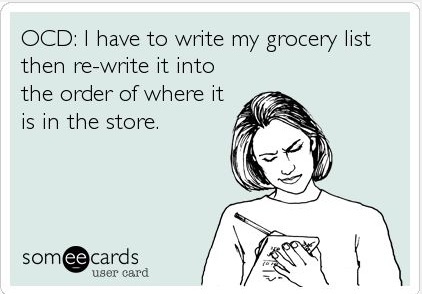 Happy planning, list making and grocery shopping! Yep, our little family got a little less little. 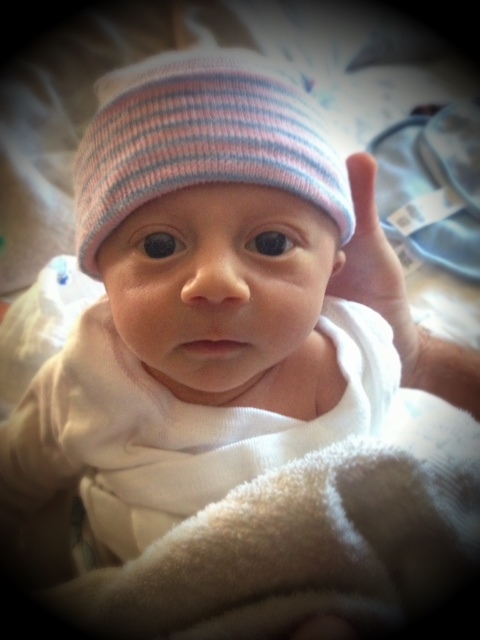 We welcomed Tripp in September and nothing has been the same since. I can’t blame my blog break on him. I had no idea he was cooking when I started my unintentional hiatus, but life just kind of happened. Work travel, Tripp preparations, sleep… stuff just kept happening so blogging didn’t. It goes without saying, but I’m going to say it: Tripp is the best. Like seriously best baby ever. He is so happy, unbelievably cute and just brightens the day of anyone he encounters. He had a little bit of a rough start, a story I’ll save for later, but just know that he is the biggest blessing EVER. Being a mommy is the best thing I’ve ever done. 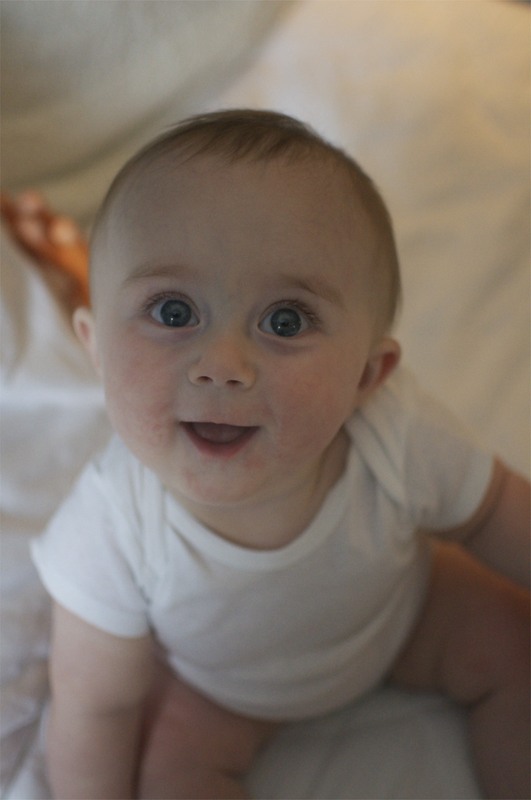 He is almost NINE MONTHS old and I have no idea how that happened. It has been amazing to say the least and I am about 100 bajillion percent in love. At the same time, I really miss being here. Some of you might want to slap me, but the worst part of being pregnant was not being able to spray paint, move heavy furniture solo and eat brownie batter. Now that he’s here, when I’m home all I want to do is eat him up. I don’t want that to change, but I also don’t want to lose this. I know the internet is FULL of mommies and daddies with more kids, more demanding day jobs and activities who manage to blog daily and brilliantly. I don’t set my goals that high because it’s not going to happen; however, I think I can do this some. Home Sweet Here really was something I loved and still do. I went back and read some old posts and it made me ever more excited to get going again! That was a fun trip down memory lane for me, so as you are waiting for exciting new news, here are some of my of my favorites from the past. Enjoy until I’m back again!